Our hero is a BAD cat! Slinky Malinki is a cat, blacker than black, who likes to lurk in the shadows. 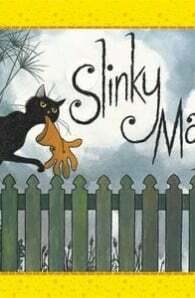 What is Slinky Malinki up to? Well, at night, this rascally cat turns into a thief. From a clothes peg to a slipper to a string of sausages, anything is fair game! But by morning, Slinky Malinki realises that crime doesn’t pay. 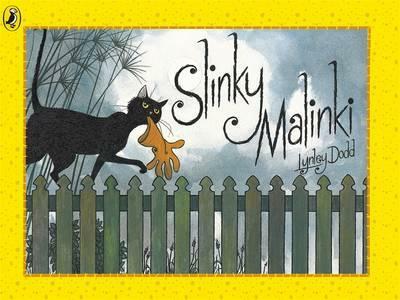 Slinky Malinki lives in Hairy Maclary’s neighbourhood, and their adventures are absolute classics for children. This story is told in wonderful rhyme and through pictures full of life and movement.